Super Sunday is the biggest sporting day of the year Stateside, and we are going to make it a day to remember in the UK as well. That's because February 3rd - the date of the big game between the Rams and the Patriots - is also the date we are kicking off a Special US PowerBall Super Jackpot which starts at £400 Million ($500M)*. 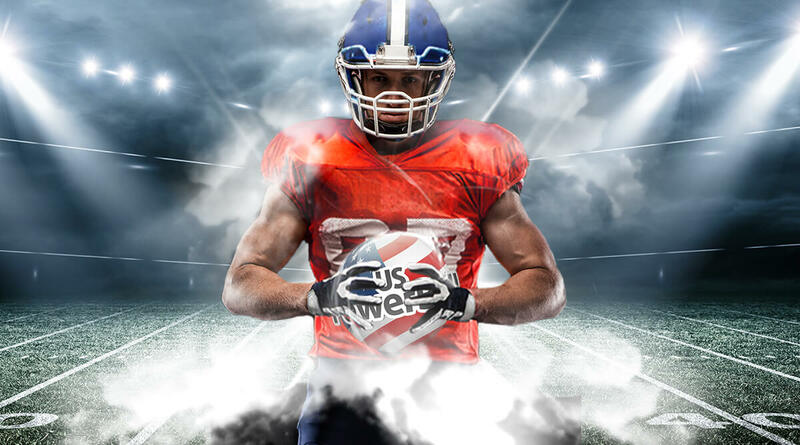 As Bill Belichick, Tom Brady, Gronk and the rest of the Patriots gear up to take on the challenged posed by the young guns of the L.A. Rams under wunderkind coach Sean McVay, we are posing a different type of challenge here at Lottoland. Do you feel brave enough to test your luck with a bet on the specially boosted PowerBall lottery? On America's Super Sunday we have ramped up the excitement levels by boosting the PowerBall Jackpot to a Super $500 million bucks (£400 million)* to make it the biggest lottery jackpot in the world right now. What's more, if the jackpot isn't won on Sunday night we will keep on boosting that jackpot by more and more right the way through February. In total you will potentially have eight chances to bet on the specially boosted PowerBall lottery starting from this Sunday - provided nobody beats you to it before the end of the month. 1. Log in to your Lottoland account, or create a new account if you don't already have one. 2. 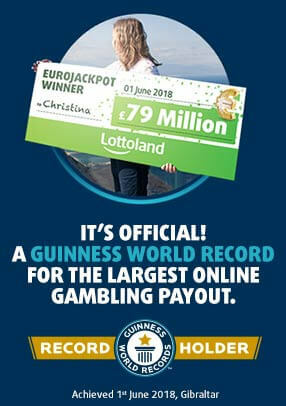 Fund your Lottoland account if you have not already done so. 3. Select 'More Jackpots' from the options on the top of your screen. 5. Pick the draw day and date you want to bet on from the tabs beneath the bet slip. 6. Choose 5 numbers from 1-69 and a Powerball number from 1-26, either manually or using Quick +1 button. 7. You have the option to use Lottoland special features like Subscription and Jackpot Hunt if you want. 8. Tick to choose the optional Powerplay game to boost non-jackpot prizes. 9. Click 'Submit' to place your bet on the draws which take place at 4AM UK time on Thursdays & Sundays. 10. Check the Lottoland Results Page after the draw or check your inbox for an email from Lottoland with the results. If you want to try your luck with a bet on Lottoland's specially boosted PowerBall lottery then place your wager for the draw happening on Sunday, February 3rd. It is the biggest sporting Sunday of the year in the U.S. and it might just be a Super Sunday to remember if your numbers come up! *Tier 1 winning bets on PowerBall are paid out as 30 year increasing annuity payments or discounted lump sum (discount rate 38%). Tiers 1 – 3 also subject to 38% reduction as per T&C's.